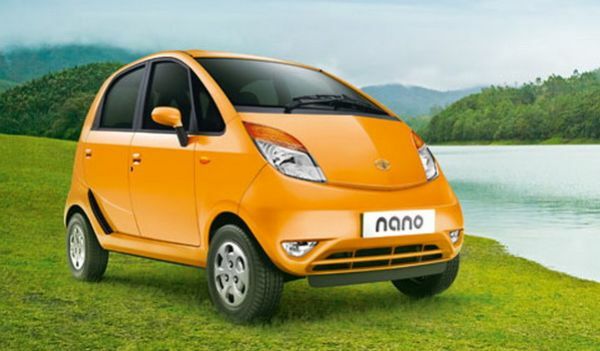 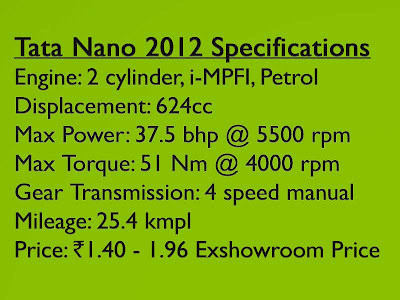 Tata Nano 2012 model is a facelifted model of the cheapest car Tata Nano.Plastic wheelcaps are added in LX and CX models.The much needed Passanger side rear view mirror has been added in the new version.You cannot demand luxury features for the price it is being selled at. 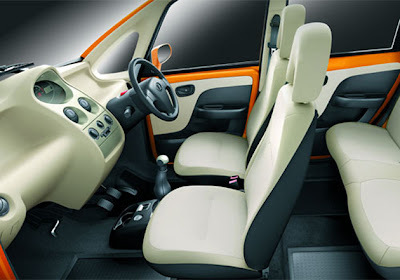 In the Top end varient Nano LX, the interior comes in beige color.The area including Gear lever knob and meter console has been given silver color.Door pads are in dual tone colors.The seats which came in dark colors are also made in beige colors to match the interiors.The headrest in front seats which was one piece with the seats is now adjustable.The increase in height of the rear seats will help make seating comfortable.Nano comes in ten colors including new colors such as Pappai and Orange. 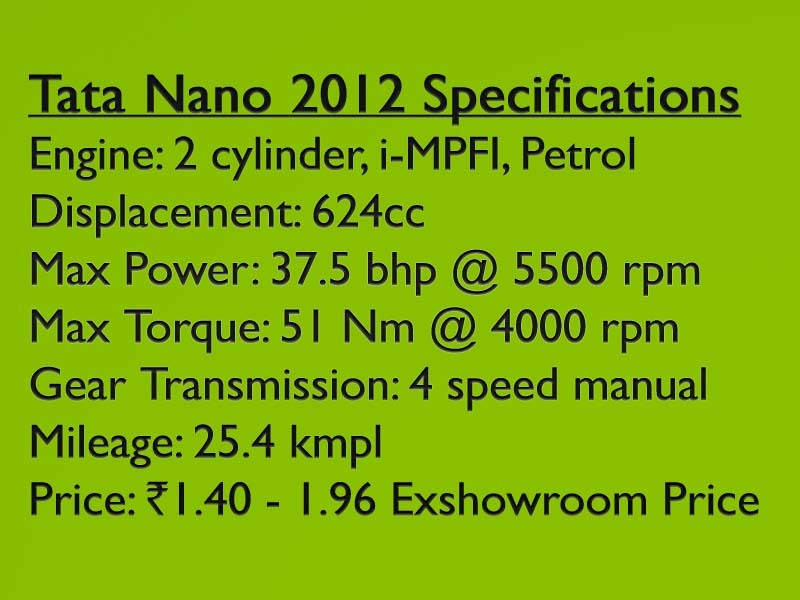 3 bhp's has been added to the two cylinder 624 cc petrol engine's power to make it 37.5 bhp.Torque is now 51 Nm from 48 Nm.ARAI mileage is 25.4 km per litre. 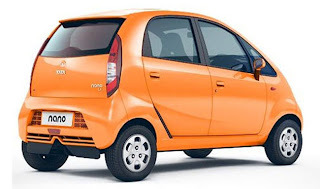 The front suspension upgraded using an antiroll bar has added stability.Reliable Booster assisted brake system and steering has been retuned to make driving more enjoyable.The sound has been decreased by the changes in the intake/exhaust system.